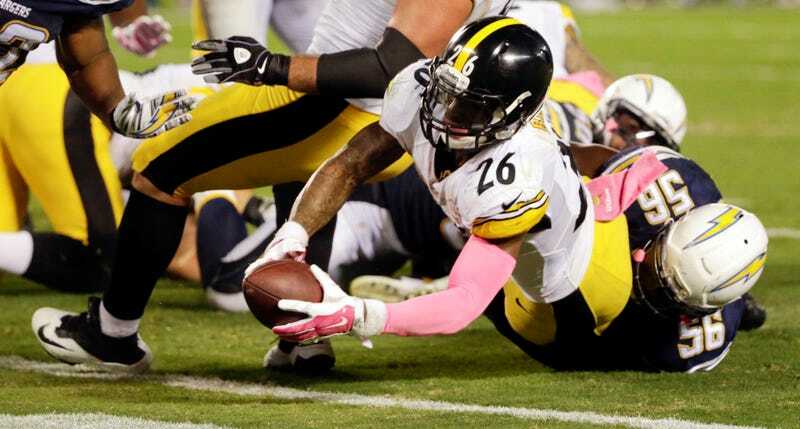 With five seconds remaining and the Steelers down three in tonight’s Monday Night Football contest, they found themselves on the Chargers’ one-yard-line. A Chargers timeout gave the Steelers plenty of time to think over what play they wanted to run to win the game, and they went with ... Le’Veon Bell in the Wildcat formation? How close was Bell to being down before the ball crossed the plane of the end zone?